The hydraulic essentials within arm’s reach ! Realised by our hydraulic engineers and updated every year, this pocket book of hydraulic tips and tricks is primarily a practical tool, flexible and adapted to your needs. 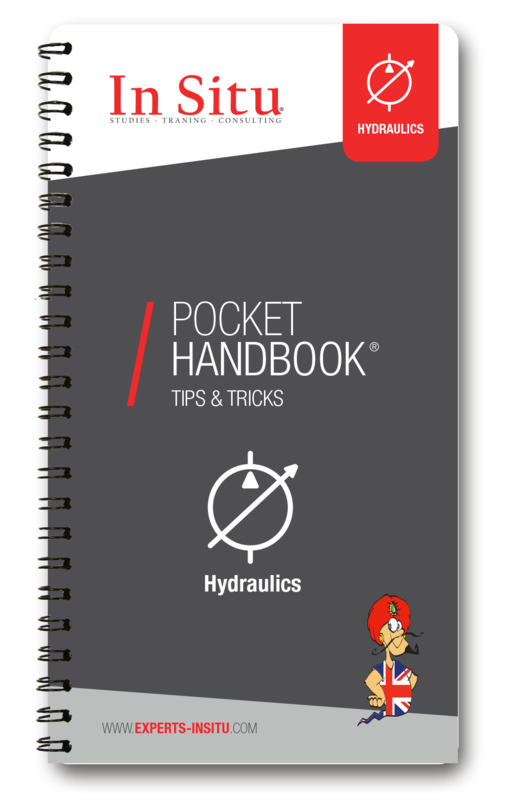 This pocket book is composed of diverse tips and tricks on the essential inquiries in hydraulics. Among them, you will find first some basic hydraulic formulas and symbols, charts and diagrams on oil pressure or determination of pipeline diameter. You will also find a large focus on hydraulic connection, different type of installation, a comparison of connection threads, flange connection and many others. Then, of course a large portion is dedicated to the oil (one of the major factor in hydraulic related accidents) and the filtration. To finish, you’ll find the most important security rules, the safety standards and how to prevent an accident. Among all these tips and tricks we have displayed some free spaces dedicated for you to write down your own most essentials information. 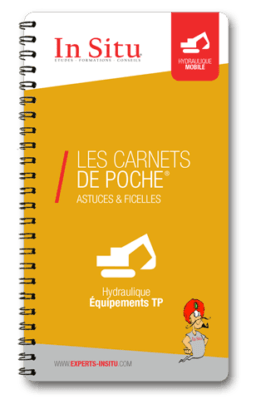 With time, you will create your own and unique hydraulic pocket book and you will be able to keep the essential within arm’s reach ! This is why we care about the quality of our products, to make it last as long as possible we have chosen a laminated cover and quality paper. Don’t hesitate to look at our other products specialised in hydraulics ! 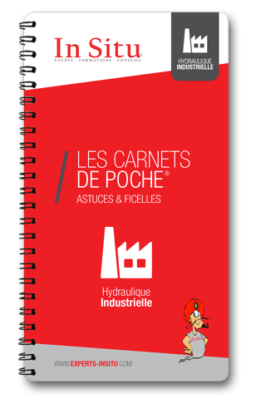 Véritable outil de travail technique, ce carnet de poche hydraulique industrielle est un condensé d’informations pratiques pour vos interventions. 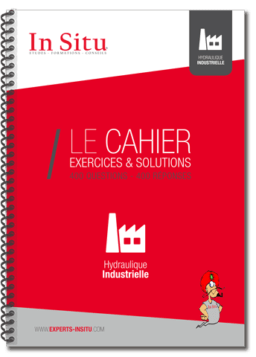 Ce cahier d’exercices est composé de 400 questions / 400 réponses, l’outil idéal pour se former à l’hydraulique industrielle de manière autonome !